What do you think when you hear the word, SCONES? Is it the buttery, flaky cookie that you can nosh on for breakfast or a snack? 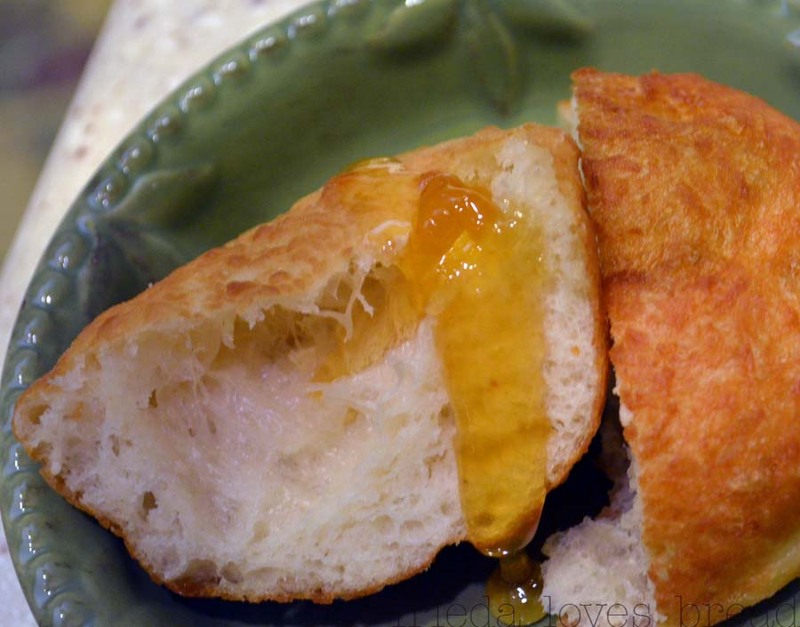 Or is it the golden, pillowy pieces of fried bread, drizzled with butter, honey or your favorite jam? I'm from Utah and if you say, "Scone," it usually means the deep fried bread variety. 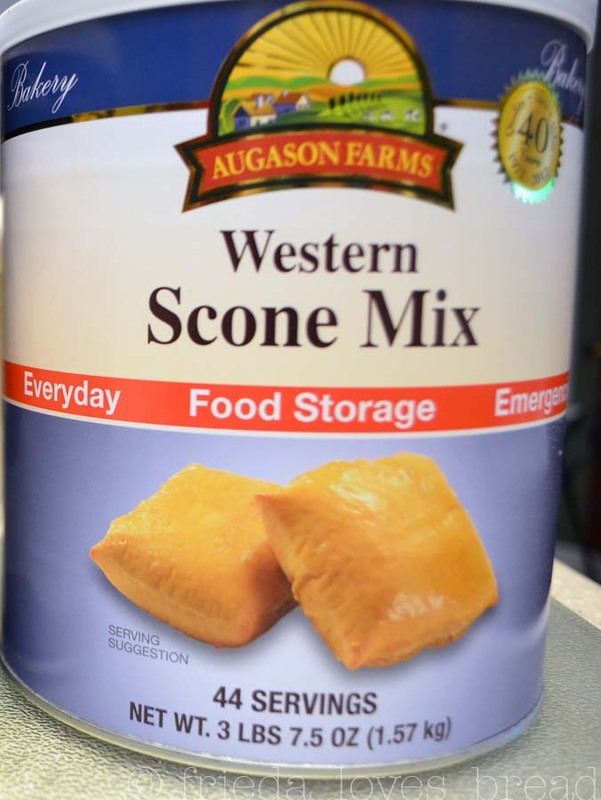 Augason Farms is a Utah company and sent me some Western Scone Mix to try. I loved their Chocolate Morning Moo mix, so I thought, "Why not?" And I'm glad I did. It's quick. It's easy. And it's good! All you need are three things: the mix, yeast, and water. Cover the dough with plastic wrap and wait 20 minutes. That's it ... very easy and quick! 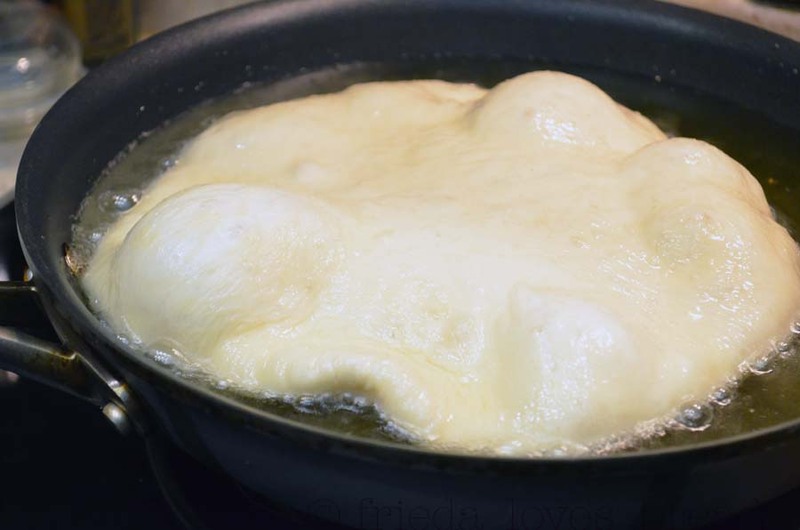 In the meantime, get a skillet with oil ready to a temp of 375°F. Any higher, and your bread insides will be dough-y. Any lower, and your bread will absorb the oil .... yuck. 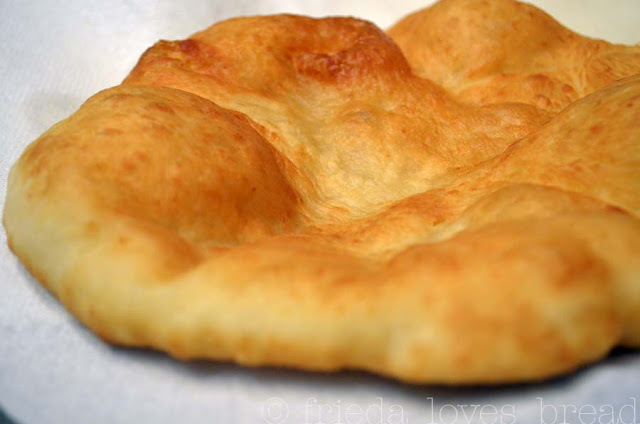 Divide the dough into 8 portions, and roll each onto a floured surface, into a circle about 8"- 9". Fry each side about 1.5 minutes, or till brown and golden. Put the fried bread onto a paper towel to absorb any excess oil. Know what hubby is gonna do with this? Turn this into a Navajo Taco. 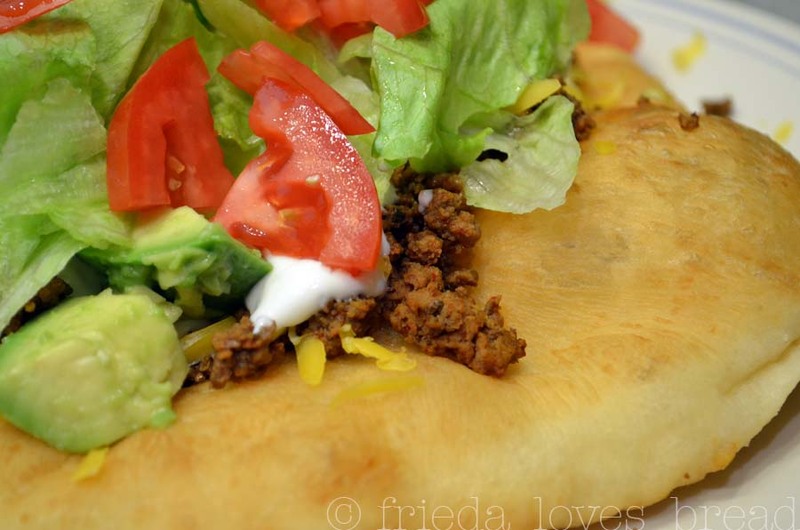 He put cooked ground beef with homemade Easy Taco Seasoning, shredded cheddar cheese, lettuce, avocados, tomatoes and sour cream. You can drizzle hot sauce or top with your favorite salsa. Thank you, Augason Farms, for letting me try this ~ it was easy, quick, and I was able to make dinner AND a dessert! I was given a sample of Scone Mix to try. No other compensation was given to write this post. All opinions expressed are 100% completely mine.